LAS CRUCES, N.M. – It took a missed three by Northern Colorado and a late hoop and foul by Aggie junior guard Daniel Mullings, but the New Mexico State men’s basketball team defeated the Bears, 67-63, Wednesday night inside the Pan American Center. NM State extends its winning streak to four games and improves to 4-1 while winning its 13th-straight at home. Northern Colorado was handed its first loss of the season and falls to 2-1. The game came down to the final possessions, as the Bears had the ball with the shot clock turned off and trailing by one, 64-63. A missed 3-pointer by Northern Colorado’s Tate Unruh and an ensuing scramble for the ball gave Mullings a breakaway chance. Mullings converted a layup while being fouled with 3.1 seconds left on the clock. He converted the free throw to give the Aggies the 67-63 victory. “I am very proud of how are team played tonight, especially against a tough team like Northern Colorado,” said head coach Marvin Menzies. For the fourth-consecutive game Mullings led NM State in scoring, finishing with a game-high 20 points on 8-of-13 shooting. He also finished tied for the Aggie rebound lead with seven total rebounds. Sophomore center Sim Bhullar also had seven rebounds and also finished in double-digit points with 10, all in the first half. Junior guard DK Eldridge scored 10 points, while senior forward Renaldo Dixon also added 10 points, a season-high. NM State outshot the Bears 48.1 percent to 37.9. But the Aggies struggled from both the 3-point line and free-throw line, which kept Northern Colorado in the game and helped them almost pull off the upset. The Aggies finished 1-of-11 from beyond the arc and shot 56 percent (14-25) from the charity stripe. NM State led early in the first half as Mullings converted a three-point play as he was fouled on a converted jumper to give NM State a 7-2 lead. But the Bears fought right back, sinking three-consecutive jumpers to take an 8-7 lead. Down 10-9 and in a half of runs, the Aggies went on their own 6-0 run to take a 15-10 lead. Dixon would score six of 11 points for NM State as the Aggies increased their lead to 20-12 with just under 11 minutes left in the half. Northern Colorado would claw its way back as the Bears cut the Aggie lead to 27-25 with under five minutes left in the first half aided by a 3-pointer and dunk by Northern Colorado’s leading scorer Derrick Barden. A slam dunk by Mullings as he slashed for an offensive rebound off a Matej Buovac missed 3-pointer and another slam by Bhullar as he trailed behind a Bear fast break opened up the Aggie lead to 31-26 with 2:56 left in the half. But again, Northern Colorado would not go away as it scored the final three points of the half to trail by only two points heading into the locker room, 36-34. NM State outshot Northern Colorado 50 percent to 42.9, but the Aggies went 0-for-5 from beyond the arc in the half while the Bears shot 37.5 percent (3-8) from 3-point range to keep the game close. The Aggies also did not use their height to an advantage, as they only out-rebounded the Bears by three, 21-18. Bhullar had his 10 first-half points on 4-of-4 shooting to lead NM State. Dixon added another eight points. Mullings and Eldridge each grabbed four rebounds in the half to lead the Aggies. Early in the second half, NM State used an 8-2 run, including three buckets by Eldridge, to extend the Aggie lead to eight at 46-38, tying its largest lead of the game. Barden hit a three for the Bears to cut into the lead, but NM State senior guard Kevin Aronis came right back, netting the Aggies’ first and only three of the game to maintain the NM State lead. A slam dunk by Mullings on an alley-oop from junior guard K.C. Ross-Miller and another Mullings’ layup on a fast break gave the Aggies their first double-digit lead at 10, 57-47, with 9:37 left in the game. The NM State defense began to tighten up in the paint as the Aggie big-men had a couple of blocks down low midway through the half. The Aggies could not shake off the Bears, however, as Bhullar missed a couple of front ends of one-and-ones and Barden hit a desperation three as the shot clock wound down to cut the NM State lead to three, 60-57, with 3:23 left in the game. A Dixon dunk would extend the lead back to 64-58 with 2:25 left, but turnovers and missed free throws, including four-straight from Bhullar, gave the Bears hope. A three by Northern Colorado guard Tevin Svihovec with 41.5 seconds left slimmed the Aggie lead to 64-63 and set up the final half-minute of non-stop action. 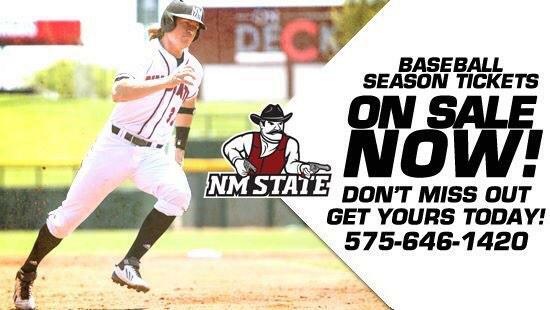 NM State has a couple days to catch its breath as it now prepares for round two of the I-10 rivalry versus UTEP. NM State will try to sweep the series as they travel to El Paso, Texas, for a Saturday night, Nov. 23, matchup inside the Don Haskins Center against the Miners. The game is slated for a 7 p.m. (MT) start.